According to a new report from The Sociable, it looks like the Google Play Store will hit the one million app mark by the summer, maybe as early as June. The site "used a process of polynomial regression" to estimate the dates. 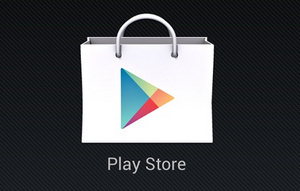 Google announced 700,000 apps in October, typing Apple and their App Store. As of today, the Play Store is estimated to have 800,000 with growth slightly faster than that of Apple. Revenues are also growing at double the speed of Apple's store, however, Apple's Store is ultimately way for profitable for developers.